A noted Islamic scholar, a remarkable Urdu columnist, a popular orator and a leading educationist, Sheikh Mohammad Asrarul Haque Qasmi passed away on 7th December 2018, at 03:30. At night he was in Tappu, a small town of Kishanganj where he addressed a gathering of the students and teachers in Darul Uloom Suffah, Tappu which is founded by him. Subsequently he went to rest at Kishanganj Circuit House and got up at around 03:00 hours in the night. When he was getting ready for Tahajjud, he felt chest pain and died of heart attack. He was 76. Because of his social, educational, religious and journalistic works and services, his death is a tremendous loss for the nation in general and for the minority community in particular. He will be recalled profoundly for his works, easily accessibility, soft-spoken and gentle approach. Sheikh Qasmi was born in Tarabari village of district Kishanganj in Bihar to late Mr. Munshi Umed Ali and Amna Khatoon on 15th Febriary 1942. Following the completion of his primary education, he got admission in the world renowned Institute of Islamic thoughts Darul Uloom, Deoband and graduated in Islamic Studies from Darul Uloom in 1964. He got married on 16th May 1965. His better-half passed away on 9th July 2012. He is survived by three sons: Mr. Suhail Asrar, Mr. Saood Asrar Nadvi Azhari and Mr. Fahad Asrar and two daughters. Following graduation in Islamic Studies from Darul Uloom, Deoband in 1964, Mr. Qasmi chose teaching as his career. Firstly he joined Madrasa Rahimia in Madhepura as a teacher. After resigning from Rahimia, in 1968 he joined Madrasa Badrul Islam of Begusarai district in Bihar. Although he was a teacher imparting religious education in the Madrasa; he didn’t confined himself within the four walls of Madrasa only. He involved himself in social and religious activities in the vicinity along with teaching. Whenever a social issue arose, he took it in his hand sincerely and wanted to resolve or to make sure that issue is in priority to be resolved by the concerned authority. In 1973, he resigned from Madrasa Bahrul Islam. Due to Mr. Qasmi’s talent and social services on the ground, Jamiat Ulamai Hind (JUH) selected him in 1974 to render his services from Jamiat’s platform. The JUH being an old and respected organization in Indian society, he had chance to reach one and all on national level. He seized the opportunity and performed well the responsibilities assigned to him; until he became a valued and trusted member of the JUH. Later in 1980, he was elected as General Secretary of Jamiat Ulamai Hind. Under the umbrella of JUH, he played a conspicuous role in “Mulko Millat Bachao Movement”, “Protection of Aligarh Muslim University Movement” and “Protection of Muslim Personal Law Movement”. Being in the JUH, he visited many villages, towns and cities of India to render his services throughout the country at the time of need on innumerable critical occasions fearlessly. As he served the community under the able leadership of his mentor Maulana Sayyid Asad Madani (1928-2006), ex-President of the JUH, for a long time being a member as well as the General Secretary of Jamiat, his works and services will be lauded for a long period. For his works and services, he was loved by the elders and members of Jamiat. In 1991, he separated his path from Jamiat. Later on, Sheikh Qasmi joined newly founded 'All India Milli Council' under the leadership of Qazi Muhahidul Islam Qasmi (1936-2002) ex-President of All India Muslim Personal Law Board. Working in the JUH and All India Milli Council, Qasmi had experienced that the main cause of Muslim community’s sufferings is lagging behind in the educational field. He, therefore, founded “All India Talimi Wa Milli Foundation” in 2000. The main objective of the Foundation was serving the nation working on the key issues of education and literacy. From the beginning, he started serving the people establishing religious and modern educational institutes. He set up dozens of educational institutes. He founded “Milli Girls School” especially for girls in Tappu, Tarabari Chowk, Kishanganj. About 500 girls are getting quality education in the school. This school is with hostel and all the modern facilities required. It is an exemplary and the first school of its kind in the area. It is playing a key role in imparting education amongst the girls. Under All India Talimi Wa Milli Foundation, Mr. Qasmi also distributed relief materials among the victims of Tsunami and flood on several occasions. In last year flood of Bihar, when Kishanganj district and its vicinity were badly affected, he did his best in providing reliefs and personally meeting the victims to console them. It is clear crystal that setting up dozens of Madaaris and schools by Qasmi, under All India TalimiWaMilli Foundation, is great and prominent work which is unforgettable. Sheikh Qasmi was a well-known Urdu columnist. As he was famous for his public talks and oratory, he was equipped with writing skills as well. When he was a learner at Darul Uloom, Deoband, he started writing articles and essays. His first and formal work which was published was “Muslim Personal Law Aur Hindustani Musalman” (Muslim Personal Law and Indian Muslims), as far as I know. He authored this book when he was educational in-charge at Madrasah Badrul Islam, Begusarai. When he was in Jamiat, along with performing other activities, he was the editor of its organ “Al-Jamiat” as well. He had been Chief Editor of “Milli Ittihad”of All India Milli Council for a long. He was so prominent Urdu columnist that his write-ups were being published almost in all Urdu newspapers and monthly magazines throughout India. Due to his significant view and thought, his articles sometimes found place even in some leading Arabic and English magazines after translation. He compiled some books which are very useful and much relevant to the age. They include “Muslim Personal Law Aur Hindustani Musalman” “Mua’ashirah Aur Islam” “Islam Aur Musalmanon Ki Zimmedariyan”, “Sulagte Masa’ail”, “Hindustani Musalman: Masa’ail Aur Muzahmaten” and “Aurat Aur Muslim Mua’ashirah”. He wrote thousands of columns. If these are compiled, it will be in volumes. Especially if his religious and social columns are compiled, without doubt, it will serve the community a lot. Qasmi was one of the best public speakers. He was a brilliant and fluent orator. He was invited in several religious or social programmes as a speaker. The first time I listened to him in Daru lUloom, Deoband, when he was invited in a programme of “Sajjad Library” as a guest speaker in 2001. Currently, any big programme was not thought without his presence. His presence in a programme was the guarantee of the programme’s success. Because of his sincerity and pain for the community in his speeches, the people used to travel from a town to another one to listen to him. It was easy to invite him as he was very simple, humble and soft-spoken. Whenever he had time, he didn’t refuse to attend a programme either it was in a city or a remote village. He was seen attending programmes in the cities and villages alike. He had deep knowledge of the current affairs. Either he was speaking in the Parliament or a religious or social programmes, he used to speak with full understanding and confidence. Politics is also a way where one finds the required resources to serve the nation. He, therefore, contested Lok Sabha elections several times from Kishanganj constituency. But luck was not with him, so he lost with a small margin of votes. In 2009 Lok Sabha elections, he emerged as a strong candidate for Indian National Congress (INC). He got Lok Sabha ticket from the INC to contest and won the Kishanganj MP seat on its ticket. Currently he was a sitting MP as he retained the Kishanganj seat once again in 2014 defeating the BJP candidate, Dr. Dilip Kumar Jaiswal by a margin of 194,612 votes despite Prime Minister Mr. Modi’s wave was across the country. As the MP, he made full effort to establish the branch of Aligarh Muslim University in Kishanganj. In the beginning, he had to struggle to acquire the required land for the branch. He was forced to give call to the public for agitation against the then Bihar state government of Nitish to get the land. The public listened to his call and participated in the agitation for seeking land for the branch. Even the public went on “MahaDharna” on 12th October 2010 in Kishanganj where lakhs of people gathered from different parts of Seemanchal under his leadership. Then Nitish government agreed to grant almost 224 acres land for the branch and the branch’s foundation stone was laid in the presence of the then Congress President, Mrs Gandhi, Nitish Kumar, CM of Bihar and other political and social leaders. In his long life of social and educational works, Sheikh Qasmi had strong relation with many prominent people of different fields. But he never took the advantage of such relation by getting some favours or privileges for himself or for his near and dear ones. He himself held several prestigious posts; but he lived a very simple life. Either he was President of All India Talimi Wa Milli Foundarion, General Secretary of the JUH or Member of Indian Parliament, the people could not differentiate in his day-to-day life. He never liked a luxurious life. He remained always simple. His principle was “simple living and high thinking”. It is suitable to mention here that Sheikh Qasmi took the oath of allegiance to Mufti Muzaffar Husain Mazahiri, ex-rector of Mazahir Uloom Waqf, Saharanpur, for his spiritual rectification. Mufti Sahib blessed him with Khilafa and authorized him to administer an oath of allegiance also. Following the death of Mufti Sahib, he joined Sheikhe Tariqat Sheikh Qamruz Zaman Allahabadi (Hafizahullah). Sheikh Allahabadi also granted him Khilafah. By these two of his mentors, he was trained in the way that he was hardly experienced showing pride and arrogance. In clear words, he was simple, humble, selfless and altruistic servant of the community. Cutting a long story short, he worked sincerely in different fields as a social worker, an educationist, a religious guide, a columnist, an orator etc. His works and services were recognized. To pay tribute to his services and benefit from his wide experiences, many organisations and institutes selected him as its member. He was a member of Governing Body of prestigious Islamic University Darul Uloom, Deoband which is also his seat of learning. He was Court Member of Aligarh Muslim University. He was a valued member of All India Muslim Personal Law Board, Vice-President of All India Milli Council and founding President of All India Talimi Wa Milli Foundation. He has been twice Member of Indian Parliament from his home constituency, Kishanganj. He was patron of innumerable schools and Madrasas. He served the nation in general and the minority community in particular for more than half a century. May Allah reward him and grant him Jannah! It’s a short write-up to pay my tribute and homage and to present a glimpse of his life and services. Learning the Mr. Qasmi’s death news, Bihar Chief Minister, Mr. Nitish Kumar paid his homage through a press release. Lauding his contributions and giving due respect, Mr. Kumar also announced that Qasmi’s last rites would be performed with full state honours; which was refused politely by his family members to follow his will as he had wished to be buried with simplicity. His funeral was led by Sheikh Anwarul Haque, rector of Darul Uloom, Bahadurganj in Milli Girls School, Talimabad, Tappu of district Kishanganj in Bihar. About two/three lakh people performed the funeral prayer. He was buried in his ancestral graveyard of his hometown. May the Almighty Allah forgive his human shortcomings and grant him eternal peace and the highest place in Jannatul Firdaus! My deepest condolence to the bereaved family! May Allah grant them patience and courage to bear this tremendous and irreplaceable loss! Ameen! *Head: Islamic Department, Moon Rays Trust School, Zambia, Africa. Following the order of the Supreme Lord, Haji Muhammad Abdul Wahhab Sahib left the mortal world for heavenly abode on Sunday, 18th November 2018. Haji Sahib was considered one amongst the most pious people. He spent more than two third of his life in the path of Allah worrying and struggling to guide His servants to the right path. Though he was not graduated formally from any Islamic institute, however worry, concern and pain in his heart -for the sake of the Ummah- were not less than what is found in the hearts of certified Islamic scholars. He spent his days and nights concerned about the well-being of the Ummah. The goal of his life was how to make people understand that whatever happens in the world happens with the will and command of Allah and nothing can take place without His will. The Almighty Allah had blessed him with height of popularity among the learned people and the masses equally. 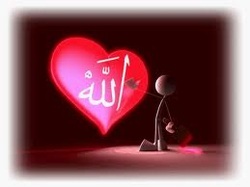 Allah had filled the hearts of His servants with love and affection for him. So he was loved and respected wholeheartedly by one and all. Haji Sahib was a man of religious mind from the beginning of his life. He met Sheikh Ilyas Kandhlavi (1885-1944) -May Allah have mercy upon him!- in 1944. Then he devoted the rest of his life for the service of Dawah and Tabligh work started by Sheikh Kandhlvi in 1920. He worked almost six months in the company of Sheikh Kandhlavi. When Sheikh Kandhlavi passed away, he worked with his successors. He was so much influenced by this work of Tabligh that later he resigned from his job and dedicated full time to it. After India’s partition, he migrated to Pakistan. Following the migration, he didn’t only work for Tabligh; rather it had become part and parcel of his life. In the beginning, he went to visit every province and villages of Pakistan; big or small for the purpose of Tableegh. He taught the common and illiterate people “Kalimah Tayyibah” and its meaning, the method of Wudhu, the significance and method of Salah. He also preached to them about the value of Ilm (Knowledge) and Zikr (remembering Allah), respect and honour for a Muslim and sincerity of intention. He also encouraged them to spare some time to go in the path of Allah to learn Deen, to practice and preach what they have learnt. With the effort of Haji Sahib, headquarter of Tabligh was established in a remote, inaccessible and unknown place; Raiwind, situated 45 km far from Lahore. Before establishment of the Tablighi headquarter, Raiwind was a forested place. Basic facility of day-to-day life was unavailable there. It was difficult to find the eatable and drinkable things. The place, where Tabligh Headquarter is standing today, was earlier full of acacia as well as other different types of thorny trees. Now it is national headquarter of all Tabligh centers of Pakistan. With the efforts of Haji Sahib the people, who were not well-versed in Islamic knowledge, understood the value of the noble work of Tabligh and started participating in its daily activities to learn and practice Deen. As a result of it, this noble work started almost in all mosques of Pakistan. Regional center of Tabligh came into existence in each city with his effort. Due to the hard-work and struggle of the people of Tabligh, uncountable men and women were guided to the right path of Deen. Obviously it was the concern of Tablighi people which brought about a sea change in the lives of thousands of worldwide renowned personalities; like famous cricketer Saeed Anwar and well-known rock star singer Junaid Jamshaid, and instilled in them the interest of practice of Deen and revived the powder to act upon Islamic rulings and teachings. Haji Sahib led the movement of Tabligh as third Ameer (Chief) continuously for 25 years until he breathed his last. In Pakistan the first person to be selected as Ameer was Haji Muhammad Shafi (1903-1971). Following his death, Haji Babu Basheer Ahmad (1919-1992) had been selected as the 2nd Ameer. After his sad demise, Haji Abdul Wahhab had been selected as the third Ameer unanimously. The third Ameer of Tablighi movement in Markaz Nizamuddin in India, Sheikh Inamul Hasan (1918-1995) made an International Governing Body comprising of 10 members from different countries for Tabligh activities to keep on functioning smoothly, as the efforts of Tabligh had spread all over the world. Haji Sahib had been nominated as a prominent member of the governing body by Sheikh Ina’amul Hasan (RA). Not only he visited the small or big villages of Pakistan; but he also travelled dozens of countries in the world for the work of Tabligh. This would be surprising for many people to know that Haji Sahib used to address the gathering in Raiwind Headquarter almost five hours every day in different times. It was his daily schedule to address the gathering following Fajr Salah, instruct the people who are going in Jama’ah and to guide those coming back from Jama’ah. With punctuality, he participated in daily Mashwarah. Later he had stopped addressing the gathering on his health ground only. However when he was physically fit, he used to perform all duties of Jama’at as usual without complaining of his old age, tiredness or exhaustion. Currently we met a Jama’at (No. 764) from Bhawalpur. They also described as eye witness that for all his old age and weakness, when Haji Sahib used to be physically fit, he attended all Tabligh activities and discharged all responsibilities. He participated in Mashwarah, guided the Jama’at which was going and talked to the Jama’at which came back from a Tabligh journey. They further said that currently when they started their seven month-long journey on 28th August 2018, Haji Sahib guided and instructed them regarding their objectives of going out in the path of Allah as he was then physically fit. It should be noted here that this Jama’at is working in the “Northern Province” of Zambia, Africa under the leadership of Mr. Khalid. The members of this Jama’at comprise of Mr. Shareef, Mr. Basheer, Mr. Abdur Razzaq, Mr. Qasim, Mr. Ali, Mr. Sajid and Mr. Yasir (a pharmacist). As they are eager to learn and practice Islam in their daily lives, they are also worried about how to raise the degree of Muslims’ faith, how to reform them and how to guide them to practice Islam fully in their lives. Haji Sahib was not only involved in Tabligh activities; but he also worked for different Islamic organizations whenever he got chance. He participated in the movement of “Khatme Nubuwwah”. Similarly he worked as a member of “Majlise Ahrare Islam”. Then he was made the president of a chapter of Majlise Ahrare Islam in Buriwala. “The Muslim 500” is an annual publication which gives place in its book every year to 500 most influential Muslim leaders from across the world. It was first published in 2009. Socially, educationally, economically, politically and religiously 500 most influential Muslim leaders from all over the world are selected every year, ranked and mentioned in the book. In 2014, Haji Sahib was ranked number 10th in the book. This ranking has nothing to do in the sight of Allah; but it is a clear mark that his sacrifices and struggles to please Allah are recognized, rather than a mere appreciation in this world only. When Haji Sahib was a student at Islamia College, Lahore, he took the oath of allegiance to Sheikh Ahmad Ali Lahori (1887-1962), a famous commentator of the Glorious Qura’an for the sake of his self rectification and spiritual development. Later on, he took the oath of allegiance to Sheikh Abdul Qadir Raipuri (1878-1962). He was authorized by Sheikh Raipuri to administer an oath of allegiance and was counted one among his distinguished disciples. Haji Sahib was originally from “Karnal” district of “Haryana” state in India. He was born in 1923 in Delhi, the capital city of India. Following completion of his primary religious education, he joined “Islamia College”, Lahore, a famous city of Pakistan. Following graduation, he started his career in civil service as Tahsildar (executive magistrate).